Safer workplaces make for more sustainable businesses. In line with National Safety Month, the Occupational Safety and Health Administration launched the inaugural Safe + Sound Week, a nationwide event to raise awareness and understanding of the value of proactive safety measures in the workplace. 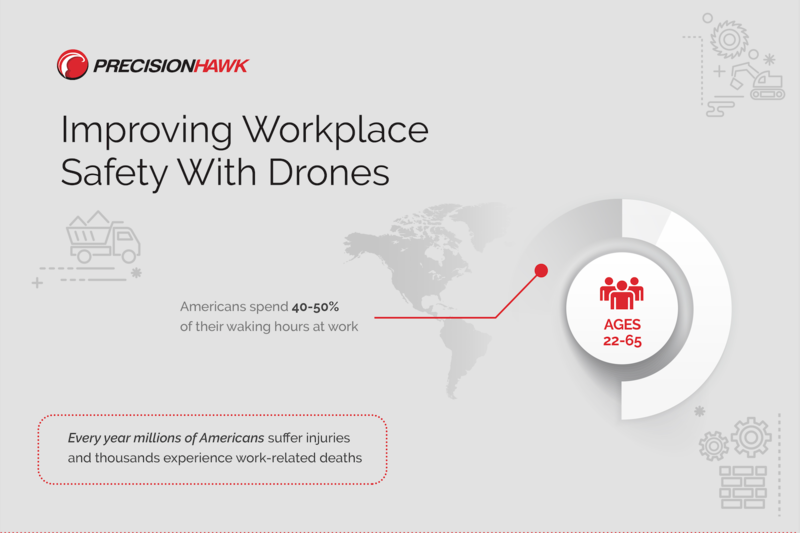 Since PrecisionHawk’s core products and services cater to industries with some of the most hazardous job sites, we crunched the numbers and put together a comprehensive infographic highlighting the tremendous value of drone technology and advanced analytics in managing work-related risks and reducing compensation claim costs. End-to-end drone and data solutions for the enterprise, like PrecisionHawk's Precision Construction Package, retailing for $7,100, empower companies to obtain a 500x (falls) to 50,000x (fatalities) return on their investment. To learn more, download the infographic and email us at info@precisionhawk.com to start keeping your workers #SafeAndSound!